Car Seat Coolbag Tropic 8L soft cooler is ideal for the everyday city life. The Tropic range features unique and multi-functional soft coolers that can be easily used with a bike, a baby trolley, and a car. The exterior of the coolers is made of high quality polyester and the interior liners contain an antimicrobial agent that reduces bacteria. 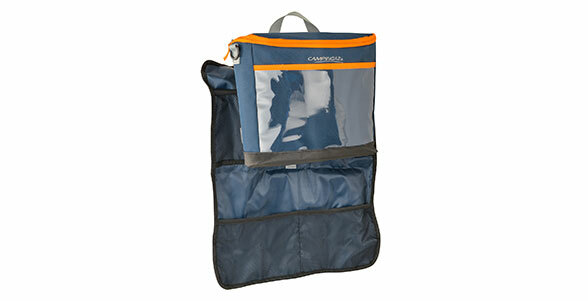 Features: Attachable to car seat, detachable fold-down flap with mesh storage, see through window for screen viewing.